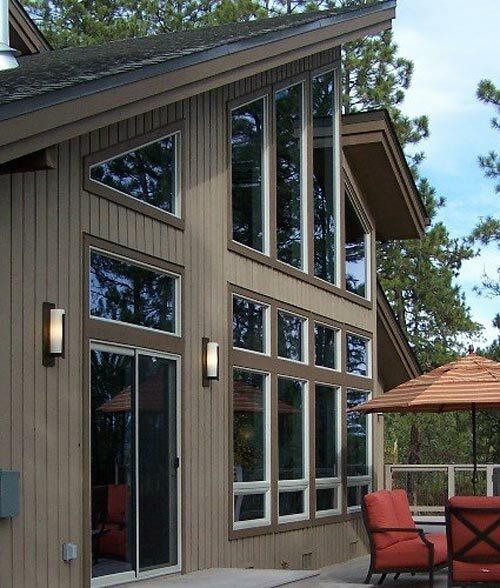 The preferred choice of glass for windows and doors in the hot Arizona climate is Low-E Insulating Glass. Low-E (low-emissivity) is a term used for a surface that radiates, or emits, low levels of radiant energy. Low-E glass is manufactured by applying specific metallic coatings (silver, zinc or tin) to the surface of glass to reflect heat. 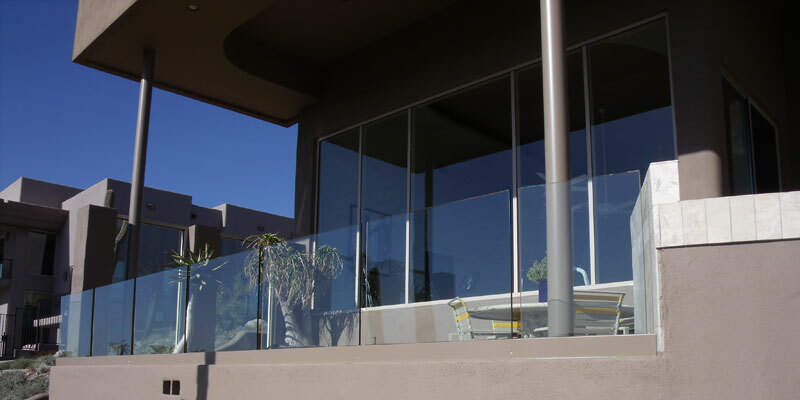 There are two types of Low-E glass: hard coat and soft coat. Hard coat Low-E glass is manufactured by pouring a thin layer of molten tin onto a sheet of glass while the glass is still slightly molten. The tin actually becomes "welded" to the glass. This process makes it difficult or "hard" to scratch or remove the tin. Often this glass has a blueish tint to it. Soft coat Low-E glass, on the other hand, involves the application of silver, zinc or tin to glass in a vacuum. The glass enters a vacuum chamber filled with an inert gas which is electrically charged. The electricity combined with the vacuum allows molecules of metal to sputter onto the glass. The coating is fairly delicate or "soft". Utilizing a Soft Coat Low-E insulated unit with argon instead of a standard Clear Glass 7/8" overall thickness unit would give you more than twice the insulating benefit. Twice the insulating benefit means less energy consumption and greater cost savings for you. An added benefit is more uniform interior temperatures and overall comfort. Best Glass is your Low-E insulating glass provider. Serving the greater Phoenix area since 1991, Best Glass has maintained an A+ rating with the Greater Phoenix Better Business Bureau. Homeowners, business owners and contractors alike have relied on Best Glass to repair, replace and install new Low-E insulating glass in homes, businesses and commercial buildings of all types.